Charge up to 3 mobile devices at the same time! Even more performance for your mobile devices! 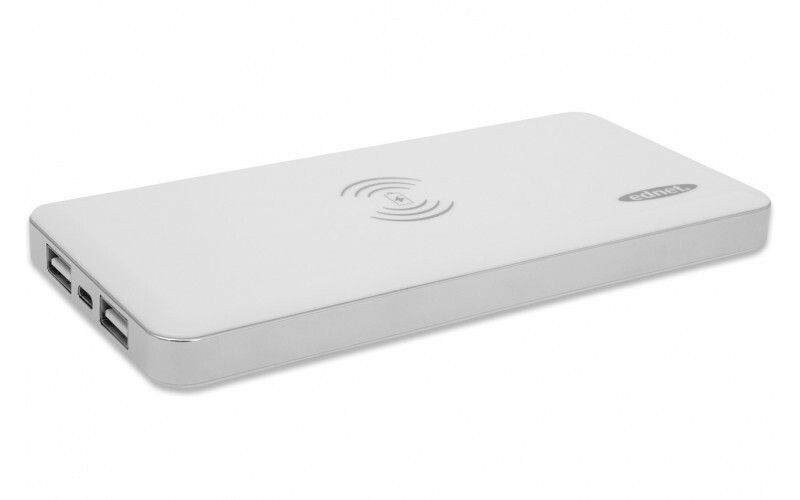 Thanks to the new ednet Power Bank 8000 with wireless charging function, empty batteries belongs to the past. 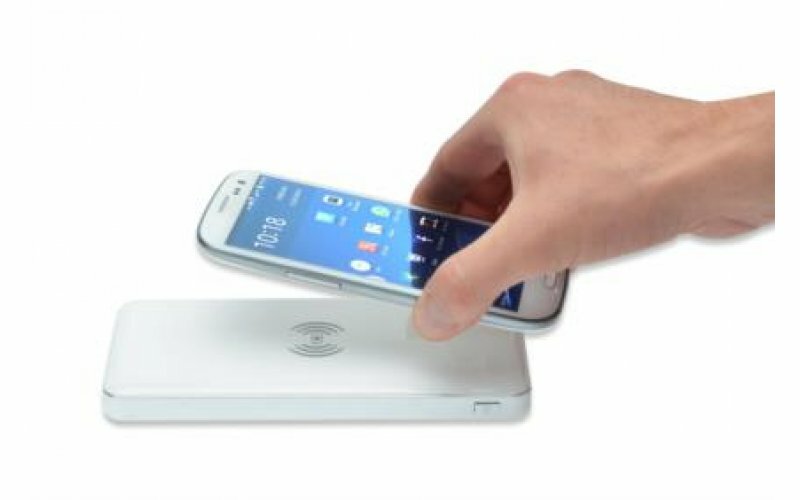 When your battery is empty the powerful rechargeable Li-Polymere battery allows you to use your smartphone, tablet, MP3 player etc. quickly again. Trough the 2 USB ports (1x 2.1A, 1x 1A) the power bank is ideal for charging your smartphone and your tablet at the same time. 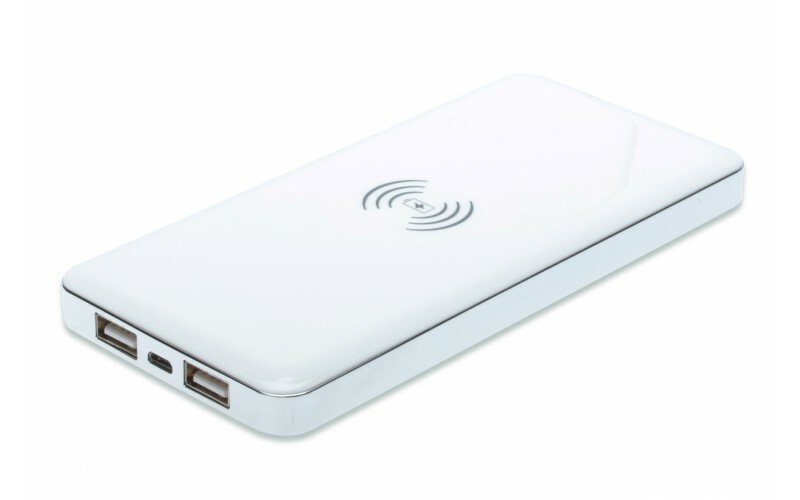 The power bank will be charged via the included USB cable (Micro USB to USB A) with your PC, notebook or alternatively via a USB socket adapter (31803). 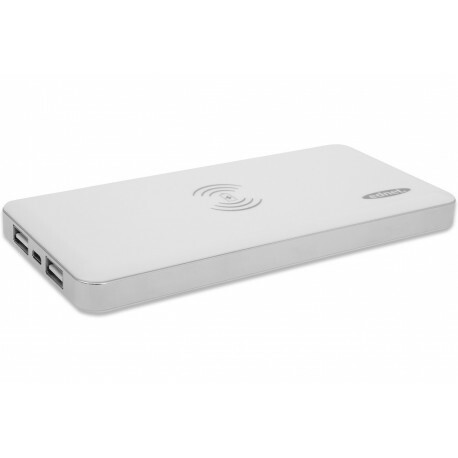 As an additional feature the power bank also has a wireless (induction) charging function. Charge comfortable, completely without a cable, another additional mobile device. To do this, place e.g. your smartphone on the top, in the marked induction charging area. Some smartphones have this technology already on-board. 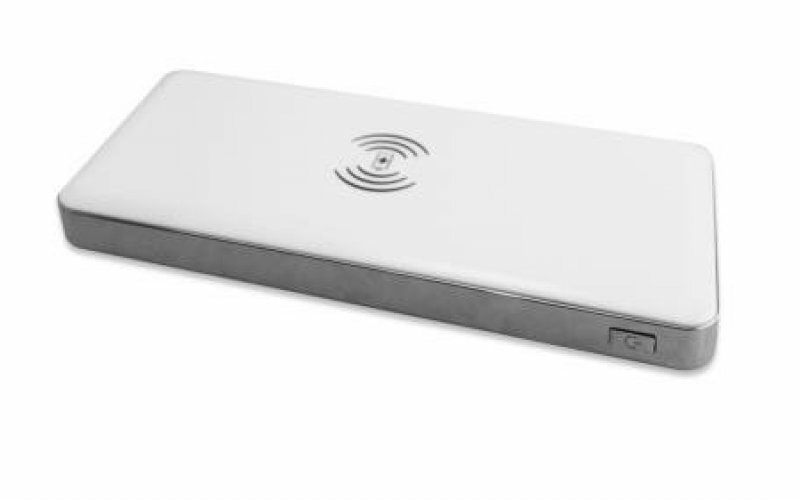 Otherwise you need to use this function, a receiver pad for your device, which is placed behind the battery cover. In addition, almost all smartphone manufactures provide suitable batteries in which the fuction is already integrated.